This is a classic Walt Disney Fairy tale that happens to collide with the real world in this modern day and age, this happens in the city of New York in a story based upon a princess who was sent to our world (the real world) by the evil witch queen. Soon after the arrival of princess Giselle she begins to change the way looks at life and love after meeting a handsome lawyer whom she later finds herself in love with, but can a storybook view of love and romance survive in this cruel world (the real world)? 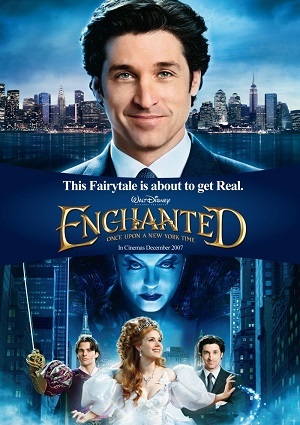 To find out watch Enchanted.